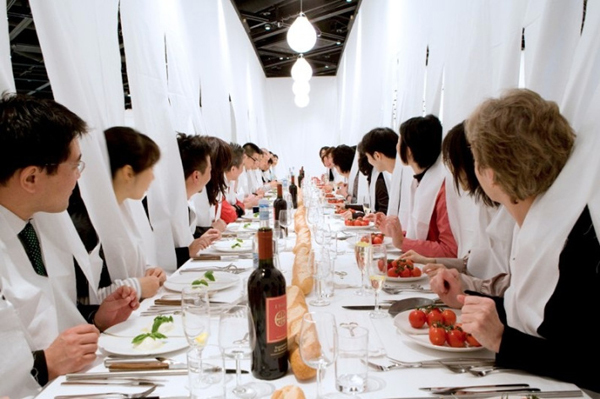 Marije Vogelzang has been attributed to creating a whole new discipline called ‘eating-design’. Starting out in 1999, at a time when design and food were a seemingly impossible match, she was the first designer to use food as a medium. Since then, her work has focused on challenging everything you know around the tools, traditions, rules and rituals around eating culture. Driven by the multiple issues surrounding the vast topic of ‘food’; ranging from production methods to food shortages and food waste, to allergies and obesity, Marije’s urgent mission is for designers to find solutions to these problems, and not to rely on industry to come to the rescue. Through performances, experiences, curation and objects, Marije steers away from gimmicks in place of provocative critical design for debate with the kind of ideas you can’t ‘unsee’ or ‘untaste’. 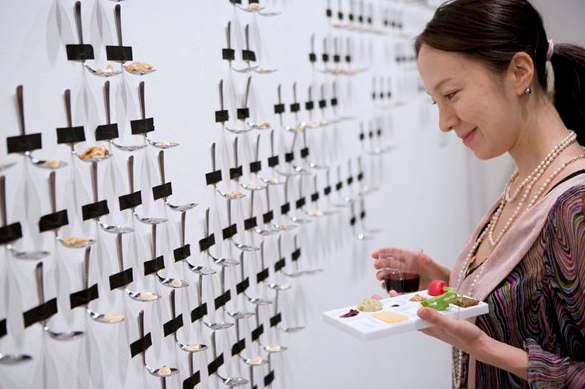 Due to the number of museums and companies, like Hermès and Nike, that request Marije to articulate their brands through food experiences, New York Times have touted her a ‘Tastemaker’. The global shift in how food is perceived as a mark of culture, has led to the Design Academy Eindhoven creating the first food design programme of its kind - with Marije Vozelgang as its Head.